I am becoming quite adventurous when it comes to trying new foods, although a few years ago I wasn’t the most adventurous eater. Nick and I were out for a lovely dinner out on Sydney Harbour. 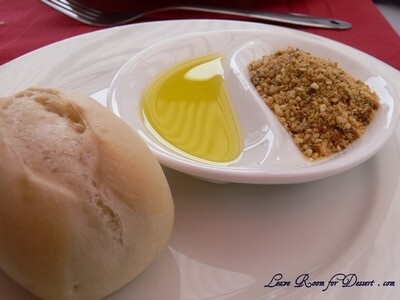 At the beginning of the menu, for either sides or starters was dukkah served with oil olive and bread. I couldn’t pronounce the name of the dish on the menu and just read the description, which was something like an Egyptian nut and spice mix. So, taking the plunge I decided, lets order that! Nick, with a surprised look on his face due to my decision at trying something quite ‘random’ at the time, was a little hesitant to order it in case I didn’t like it – but I continued to express my interest in it, so we ordered it. … and what a great decision. 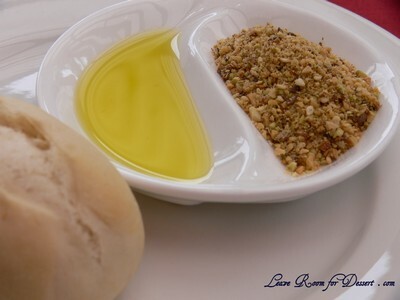 Once we had dunked a bit of bread into the oil and then into the dukkah, the taste was amazing. We couldn’t stop eating the relatively small helping we were served. Although as we ate, we tried (and when I say we, I mainly mean Nick, as he is better at distinguishing tastes) to determine what flavours, nuts and spices were included in this mix – as this was a definite dish to try at home. I searched the internet quite soon after (probably the next day) to try and find a recipe that matched closely to the flavours we detected. 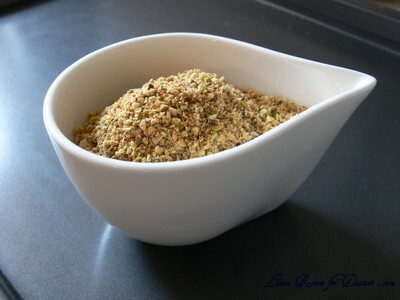 We found a fantastic recipe and then a few months to a year later saw dukkah becoming increasingly more popular and sold at all supermarkets, although mind you, at supermarkets it is quite overpriced. I still have yet to try the many different flavours you’re able to use while making dukkah, so hopefully in the near future I can trial out a few more recipes. 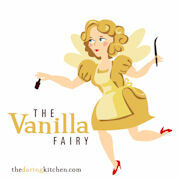 (I just find it difficult to move away from a recipe that I already know I love). 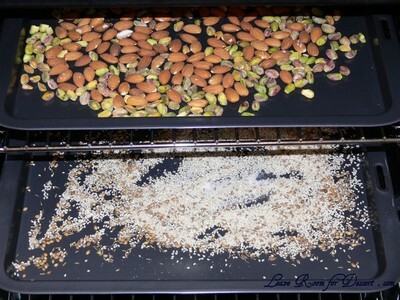 Toast the pistachio nuts and almonds in a hot oven for about 15 minutes, stirring frequently to prevent burning. Toast the spice seeds and sesame seeds separately in the same way. 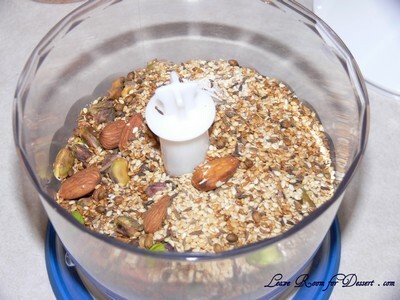 Cool and combine with the remaining ingredients in a food processor. 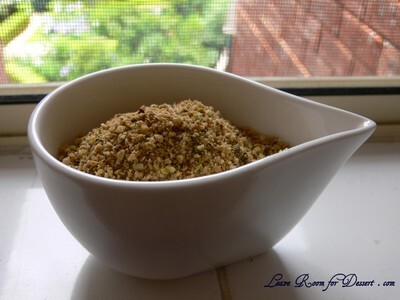 Grind the mixture until it resembles small breadcrumbs. 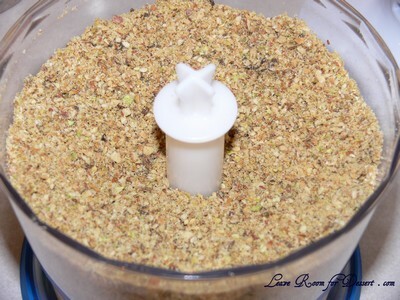 The mixture should be very dry and crumbly, not a paste. Be careful as over processing can release the oil from the nuts making the mixture moist, which you don’t want. This can be made a few days in advance and stored in an airtight container. Serve with hot bread rolls and olive oil. Filed under Appetizers, Recipes, Snacks, Vegetarian. You can follow any responses to this entry through the RSS 2.0 feed. You can leave a response, or trackback from your own site. Beautiful presentation in all the little bowls. This sounds like a tasty mix. I especially like the way it has pistatios in it. People have been raving about this Dukkah. I need to try for myself. Thanks for the recipe, Anita. Wow, I’ve never heard of dukkah before. First of all good for you for trying something new, its great when that pays off. It doesn’t sound like something I would normally try, but after hearing that you liked it, next time I see it on the menu I’ll give it a go. Hee hee call in the dukkah dukkah XD…. anyway love your dishes, and this combination sounds amazing and fragrant! Wow.. very new to me1 thanks for sharing, would love to try this recipe soon. I love the little bowl! I’ve never seen this offered in my neck of the woods. Looks delicious! Hi Arwen – Thanks! The pistachios give a splash of pretty green to the mix – and taste great! Hi Lorraine – It’s a great recipe, very similar to what I had at the restaurant. Looking forward to making some different recipes. Hi Leela – I hope you try it! 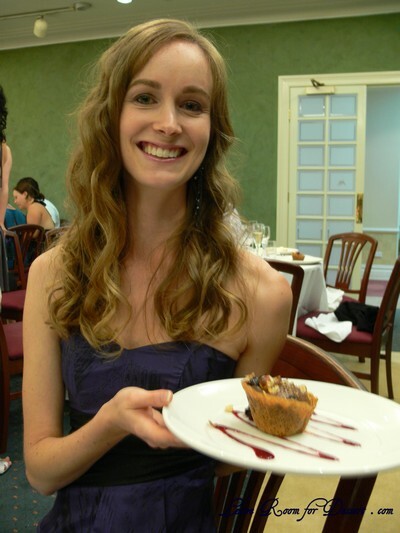 Hi Alexandra – It’s not heaps common, I don’t see if around much. Hope you like it! Hi Ann – Great to hear it’s new to many people, hope you try and like the recipe! Great article Anita! 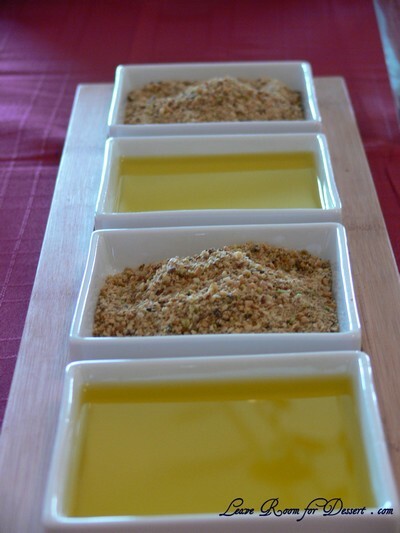 I too share a love of Dukkah…such a simple crowd-pleaser when it comes time to entertain guests. Our family has experimented with including additional spices that give our standard Dukkah more of a Moroccan flavour (cinnamon, ground cloves, allspice, cayenne pepper, ground ginger) and with great results. Nowadays we usually just cheat by adding pre-packaged Moroccan seasoning mix :). Still tastes amazing! Hard to go wrong with a good Dukkah I suppose.